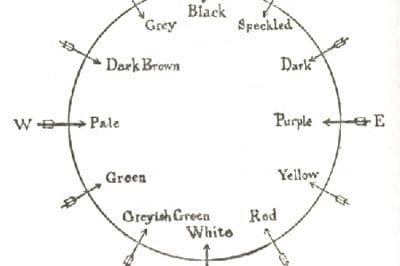 The colours of the twelve winds constructed from the description in the Saltair na Rann. From: A Social History of Ancient Ireland, 1906. Medieval Ireland attributed a different color for each of the cardinal and ordinal directions of the wind.